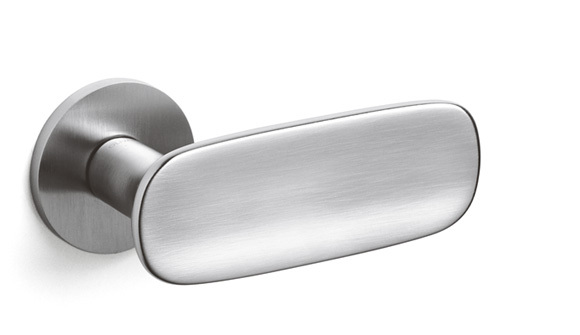 This sculptural lever is eloquent yet understated. Patricia Urquiola experiments with proportions and, with Conca, creates a tactile design. Viewed from the front, it seems to have a certain weight, due to its shell-like surface; instead, the lightness of its concavity is felt in the hand.